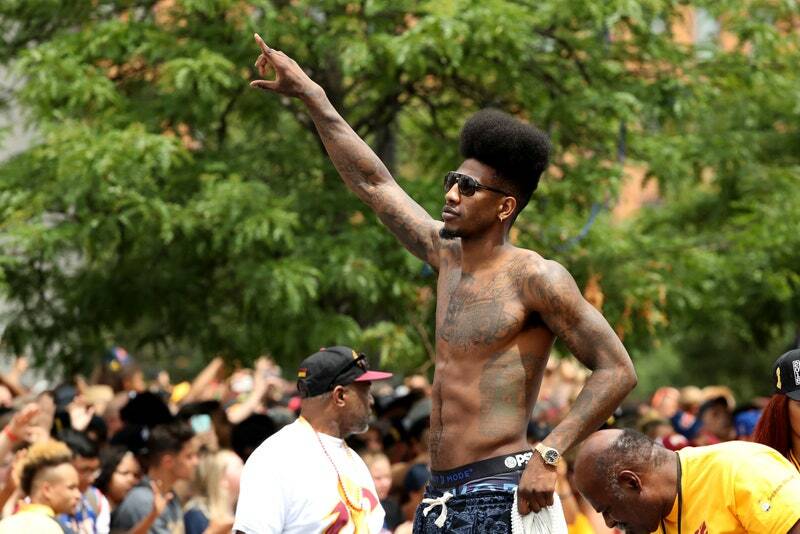 In a recent sit-down interview with Pierce Simpson of Complex News, Iman Shumpert discussed the Cavaliers’ championship celebration while roasting a few of his teammates. Simpson then turned the conversation to a particular green jacket that LeBron wore in a post-game press conference after falling behind three games to one in the 2016 NBA Finals. “LeBron looks like the Starbucks General Manager”, wrote another Twitter user. Simpson then pulled out a picture of LeBron in a seemingly casual outfit and asked Shumpert to go a bit further with the roasting. As Shumpert glanced at the photo, the reluctant dissing began. 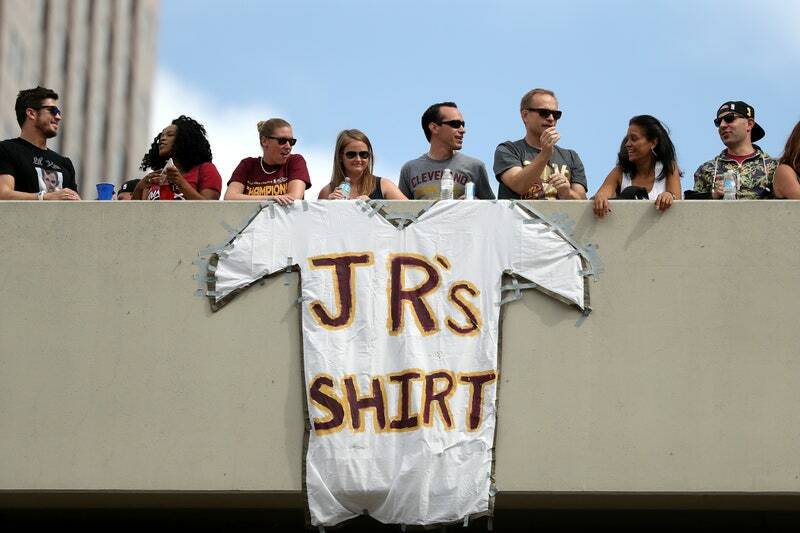 As the conversation went on, Richard Jefferson became the next to be roasted. Simpson asked Shumpert to explain Jefferson’s Snapchat shenanigans and the creation of “Lil’ Kev”. “LeBron had a magazine. There was a man on the front page. As soon as he saw it, he pointed out that the man looks like Kevin Love. We all laughed. We thought it was funny. Then we were all calling him Lil’ Kev. Then, R.J. takes it to another level. He makes the man an Instagram account and gets it verified. The next thing you know, there’s a box of shirts in the locker room that say “#LilKev” with his picture on the front. “And finally, your guy, J.R. Smith”, Simpson asked. Without hesitation, and looking directly into the camera, Shumpert replied, “The pipe”. JUST IN: VIDEO: Drake brings out LeBron James in Columbus!